His original compositions have a propulsive thrust that combines a minimalist drive with the complex, expressive melodies. He’s one of the area’s best. 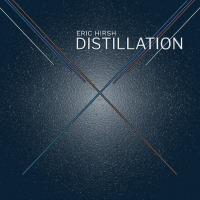 Eric Hirsh is a restless and ambitious musician whose growing, genre-crossing body of work is finally being showcased in “Distillation,” his debut album as a bandleader. For the past 12 years, Hirsh has lived in Durham, NC where he co-creates as a founding member of progressive hip hop quartet The Beast and as a director of Orquesta GarDel, a large-format salsa band. Increasingly, he has focused on writing and performing with a jazz quartet comprising longtime friends and Beast rhythm section Pete Kimosh (bass), Stephen Coffman (drums), and Aaron Hill (saxophone). 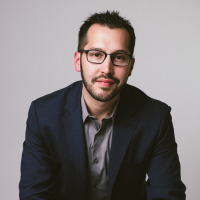 An enthusiastic collaborator, Hirsh has performed or recorded with the North Carolina Symphony, the North Carolina Jazz Repertory Orchestra, Nnenna Freelon, Jim Ketch, Shana Tucker, Emily Musolino, Greg Humphreys, and The Community Chorus Project. He has performed at Duke Performances, North Carolina State University Center Stage, The Stone (New York), the DC Commission on the Arts and Humanities, the North Carolina Art Museum, UNC Center for the Study of the American South, Lake Eden Arts Festival, Shakori Hills Grassroots Music Festival, and The Art of Cool Project. All About Jazz musician pages are maintained by musicians, publicists and trusted members like you. Interested? Tell us why you would like to improve the Eric Hirsh musician page.